Poverty is a brutal enemy — it saps the health, strength, and dignity of human beings. In Tegucigalpa, poverty is all too common and often is the source of serious issues that plague the city, such as disease and violence. The Baxter Clinic welcomes some of the struggling families to raise them up from poverty and give them an opportunity to flourish by participating in the Nutrition Program. The principal recipients of the Nutrition Program are malnourished children. Clinics and hospitals refer underweight children to the Baxter Clinic, and if they are admitted to the program, the family receives a host of benefits. The family receives rations including rice, oatmeal, powdered milk, spaghetti, corn meal, oil, sugar, and beans. 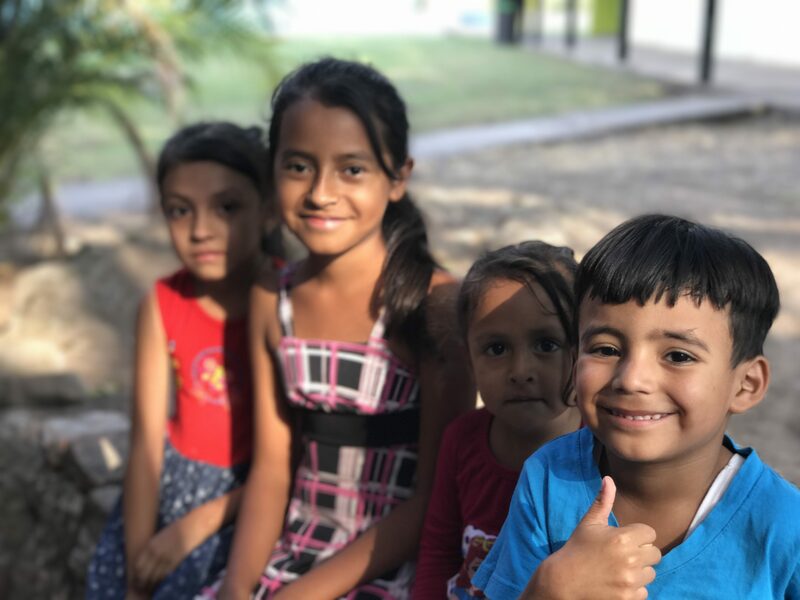 These basic staples are given every 10 days, preceded by a devotional led by the program director, Eistey Mejía, and a snack for the mothers and children. 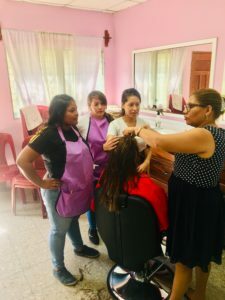 Occasionally, the clinic follows the food donations with educational programs that teach the mothers how to identify unhealthy relationships, how to operate a water filter, how to save money, and other resourceful tips. In addition to food and drink, the children and their families are also provided excellent medical and dental care for free. Mothers often come into the clinic for vitamins, cold medicine, and routine check-ups that would not be accessible or affordable to them otherwise. A key component of the program is providing vocational classes to the mothers of the program. Monday through Thursday, the mothers come and take classes in either sewing or beauty. The beauty class is frequently invited to join the clinic’s medical brigades, where they travel to rural villages and volunteer their time and skills to wash and cut hair for the rural poor. The vast majority of families in the program are parented by single mothers. Having a skill that can support their family is a source of pride as well as a therapeutic practice for those who have struggled for stability. Upon completion of the program, the mothers are honored with a graduation ceremony, which is a momentous occasion for all. The Nutrition Program has the direct goal of giving suffering children the nutrients necessary for development. Most importantly, the entire family is a part of the program. In this way the clinic truly combats poverty — a combination of nutrition, education, health, and spiritual healing give these families a genuine opportunity to succeed and break the cycle of poverty. The cost to support a child in the nutrition program is $45 a month. 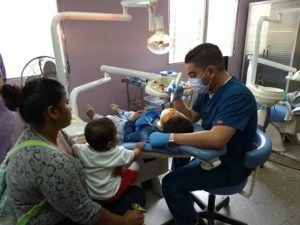 This small sum covers the food, medical and dental care, vocational classes, and other activities provided to the families. As of this year, the program has 52 families enrolled. However, Tegucigalpa has no shortage of families seeking help, and the limiting factor for enrollment is sponsors. If you are interested in learning more about the Nutrition Program, contact us. We would love for you to partner with us. If you would like to give to the Nutrition Program at Baxter, click the PayPal link below.